We realize that these don't look to Halloween-y upon first glance, but these are definitely a versatile craft that could easily be done in orange and black to hang for a party!! 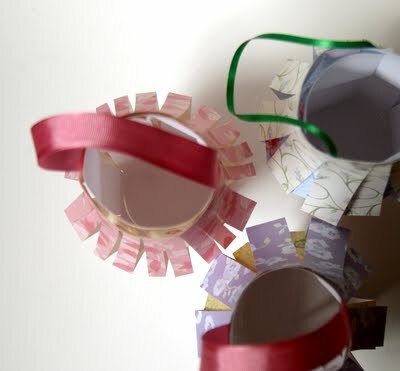 So, jazz it up and make a few for every holiday or party! Thanks to Salty Pineapple for this wonderful step-by-step tutorial that couldn't have made it easier to understand. With a piece of paper, scissors, and a bit of ribbon, you can make cheerful paper lanterns, perfect for decorating your patio. 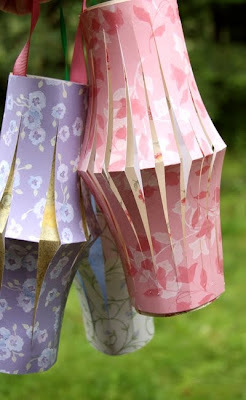 Kids who are old enough to use scissors and cut straight lines can help with this project, too--I remember making paper lanterns like these when I was a kid. 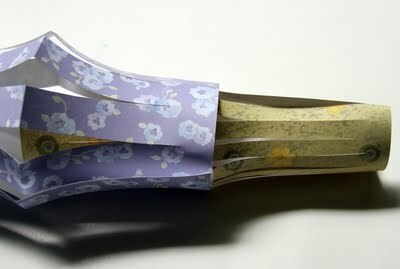 I added a couple twists, just for fun: a peek-a-boo contrasting paper, and a ribbon handle. 1. 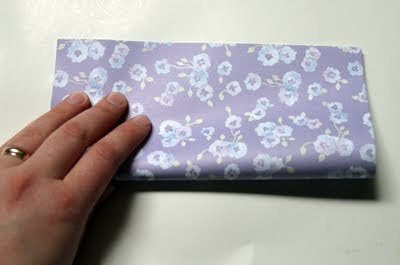 Fold one piece of paper in half (lengthwise so it's long). 3. 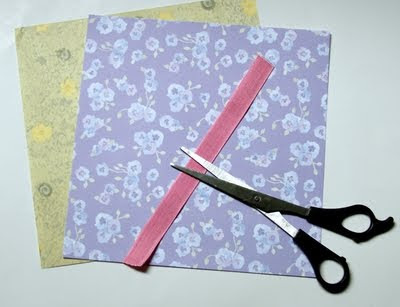 Continue to make cuts parallel to your first one, an even distance from each other, say about 3/4" from each other. 4. 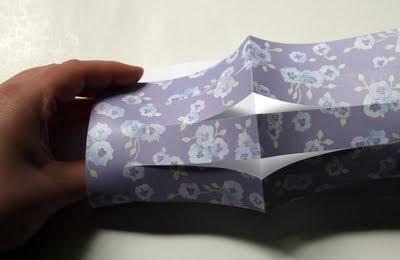 When you've completed your cuts, open the folded paper. 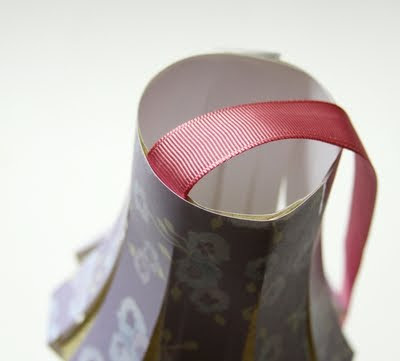 Roll paper so fold is pointing outward in the middle of the lantern. 5. 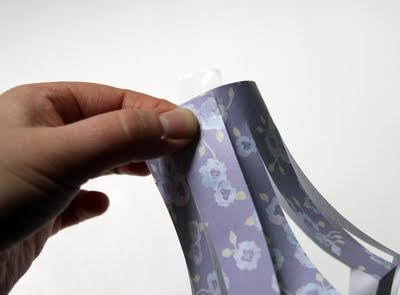 Tape, staple, or glue the top edges together. (I taped). 6. 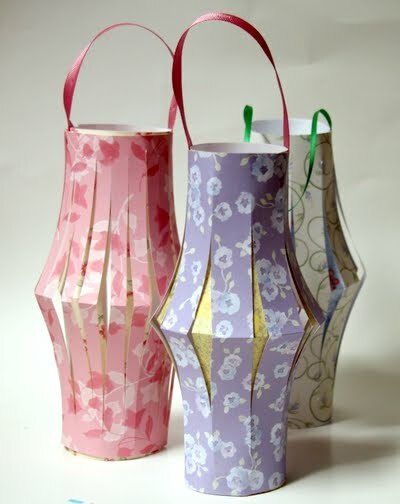 Repeat lantern-making process with contrasting color, but change the width between cuts. So, if you cut 3/4" from each other on the first lantern, do 1/4" cuts. Also, don't fasten lantern together yet. 7. 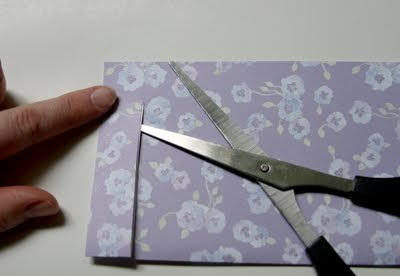 After you're done cutting, open up like you did the first one, but roll lantern small enough to slip inside of first lantern. Insert into first lantern. 8. 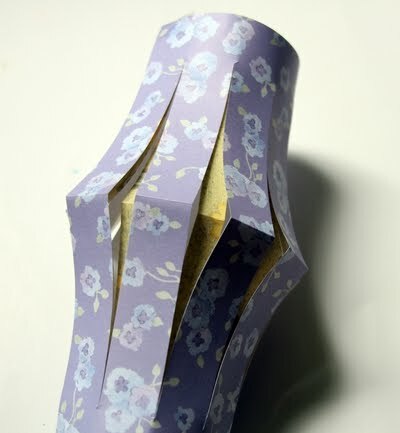 Allow second lantern to open up inside the first lantern, then tape the two together at the top edges to secure. 10. 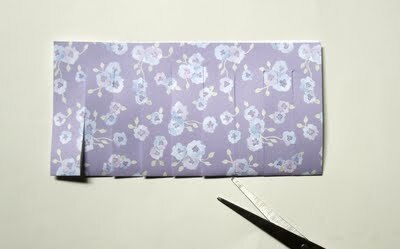 Repeat for second edge of ribbon, across from first side of ribbon. That's your handle.